In the swirl of rhetoric that has reshaped politics around the world, there are voices of faith that offer a calm aura of hope and peace. One such voice is found in the gentle and encouraging songs on Carrie Newcomer’s new album, The Beautiful Not Yet. My first listen to this album was during the commute between my hospice patients’ homes. I was reminded that there are many points of light and joy in a world that seems so dark and inhospitable to the people of God. We hold on to “The Slender Thread” of our faith and hope, because love always calls us back. Always. The song that continues to speak to me is “You Can Do This Hard Thing.“ For many of us, there are tasks that crush the spirit and make getting up in the morning feel impossible. Where it seems there is only barren and muddy ground, Carrie reminds us that “new life” will appear. And pressed in hard times. Impossible just takes a little more time. It’s a gentle reminder to all of us that “You can do this hard thing.” This is an album worth adding to your collection. All the Christian Feminism Today music reviews on the site are listed on this page in order of publication. 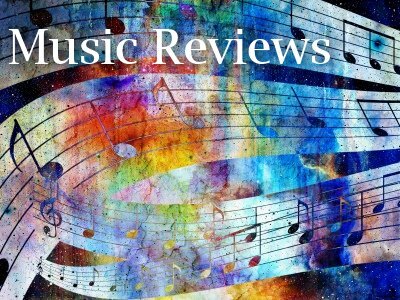 Note: some articles and book reviews also discuss various musical pieces and musicians. We encounter the women’s suffrage movement in Britain through the eyes of a fictional young woman working in an industrial laundry about 1911–13. Maud Watts is movingly portrayed by Carey Mulligan as she transforms from an overworked laborer, wife, and mother into a woman repeatedly jailed for attending demonstrations.